Introducing the Pro X2, using slope-switch technology which easily lets you switch in and out of their patented slope function. This allows the device to conform to USGA which makes the Bushnell Pro X2 legal for tournament play. With the click of the Mode button, it allows the user to easily switch between vivid red display and the extra sharp black display to choose the best display based on lighting condition or personal preference. The Jolt technology gives of a short vibrating pulse to give a tactile confirmation the laser has locked on to the flag. The helps remove any doubt that you have the right target. The slope compensation quickly calculates and then adjusts the yardage on the display all depending on the degree of the slope. 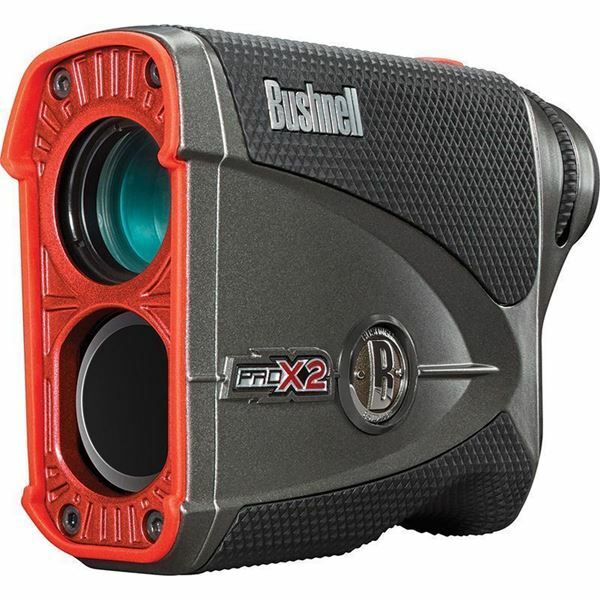 We are sure you will love the Bushnell Pro X2 , buy Online or come in store and speak to a member of staff who will be able to demonstrate this fantastic device.